My first thought is always about our family’s adoption experience. My son came home from Russia on a VERY cold winter’s night in 1996. He was a teeny, tiny, bald baby with huge blue eyes that seemed to see everything. 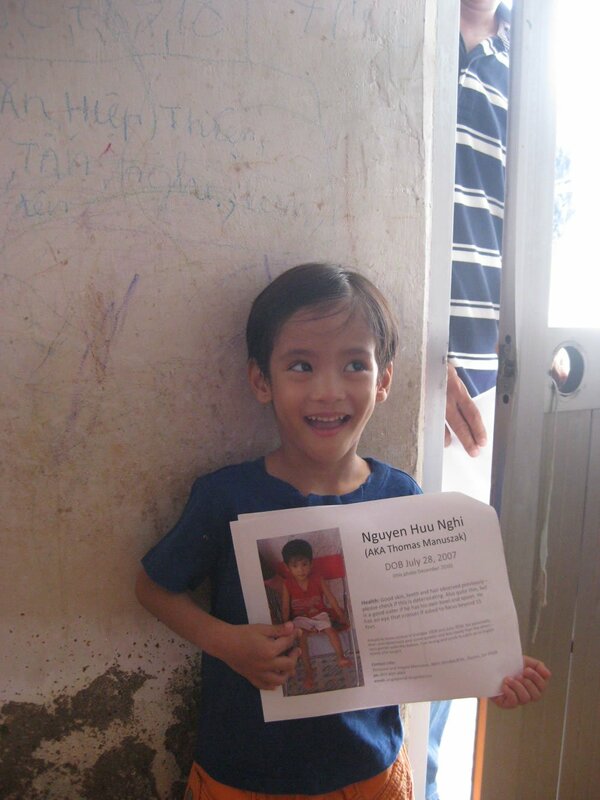 He was 11 months old and had never been outside an orphanage. Our extended family was there at the airport with signs, balloons and lots of tears of joy. My Grandma Nina loves to tell about the first time she held him. She always talks about how he “snuggled right up” to her neck, remembering it as a sweet, trusting gesture by this tiny baby. I don’t tell her that our family had actually freaked him out and that he was trying to get away as best as he could!!!! 15, almost 16 years later, he is an amazing young man. I don’t talk about him much on this blog or in other aspects of my work because he is a very private person. He is an old soul in a young body. He has an incredible depth of thinking, sensitivity and interests that go beyond his age and is one of the few people who almost ALWAYS allow themselves to truly be their genuine selves. He is often a contradiction–for example, he professes to dislike little kids, but is the kindest, gentlest big brother and older cousin you can imagine. He is brilliant and can literally do anything he wants to do. He is thinking of being a geological engineer but says his “back up plan” is to be a truck driver. (he is only half kidding) He very, very rarely has the typical teenager angst or anger. He CAN, however make a person crazy with his stubbornness! I just bought him a shirt that says “I May Be Wrong… But I Doubt It”. Long story short, he is amazing and I have no doubt that he will someday fulfill whatever purpose he is meant to. He may change the world in big ways or small ways, but I am absolutely sure that it will be for the better. None of this could or would be possible without international adoption. We are some of the lucky ones. There are thousands and thousands of children all over the world whose potential may never be reached because they will not have a family. The statistics for children who age out of foster care or orphanage care are grim. Their lives up to that point are sometimes even worse. I want us all to remember all these little ones. Whether adoptive parents, birth parents or adults who care about children, we owe it to the children who are still waiting for someone to be their own. In particular, I’d like to ask you to remember and say a prayer for a group of children known as the “Bac Lieu 16” They are not the only children needing our thoughts, prayers and especially ACTIONS., but looking at a tiny cross-section of the bigger problem can help us begin to comprehend the depth, scope and reality of so many children’s existence. International adoption is not the only answer, but it should remain ONE answer. How, When and Why to Phase Out International Adoptions? South Korean Adoptions: The Canary in the International Adoption Mine? is an article written by Dawn Davenport that explores some of the thought processes, pressures and goals behind South Korea’s policies limiting international adoptions. It does an excellent job of examining some of the rationales and policies based on research rather than opinion or rhetoric. Most important, it brings to light the unintended consequences of imposing limits on international adoptions before the rate of domestic adoptions has caught up. What Have You Done Since June 24th? What has happened in your life since June 24th? Take just a minute to look at the last two months of your calendar, scan through the last 2 months of your email or just think about what you and your family have done this summer. Why do I ask you to think about what you’ve done since June 24th? Because that is the last time I posted about the “Bac Lieu 16” and every single one of these children are still waiting. Take just a few minutes to watch this video… we all need to remember and be accountable. If you haven’t signed the petition yet, please do so! If you haven’t emailed AskCI@state.gov about these little ones, please do so now! Empty Stroller March from Both Ends Burning on Vimeo. 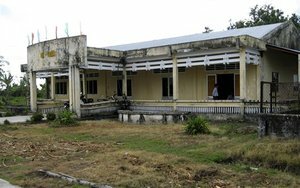 The orphanage (a former jail) the children are currently living in. 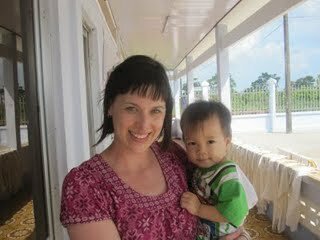 I want to draw your attention to 16 little ones who are growing up languishing in a Vietnamese orphanage, even though they have families desperate to bring them home. Gabriel Loc--referred to his family at 5 months of age, now 3 1/2 years old. Sure, if international adoptions are stopped, we’ve stopped potential problems with corruption. But, we’ve also denied these babies and children one of the most basic human rights, the right to grow up in a family. Even the UN Convention on the Rights of the Child allows that if a child does not have a family (birth or adoptive) in their country of origin, then international adoption is an acceptable alternative to growing up without a family. All of this sounds theoretical, but we cannot lose sight of the real impact, the burden of which is borne by the children who wait and continue to wait… and wait… and wait… in conditions no individual could ever, with a clear conscience, condemn a child to. 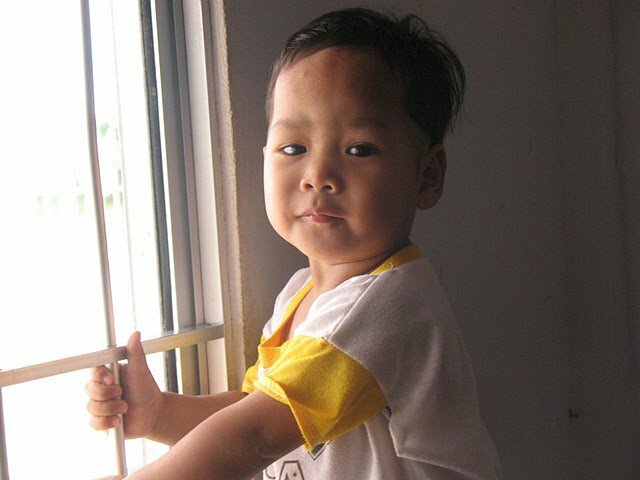 This photo is of 3 1/2 year old Thomas and was taken in May of 2011. The children are losing weight. Nate during a visit with his mommy. shut down have done their best to “parent” from afar. They’ve made many visits bringing supplies like food, milk, clothing–things that we tend to take for granted. In January, officials barred further visits, making the children’s situation even more precarious. Even so, these folks are still “parenting” by advocating for these children. Email AskCI@state.gov and request action on behalf of these 16 children and the families waiting for them. 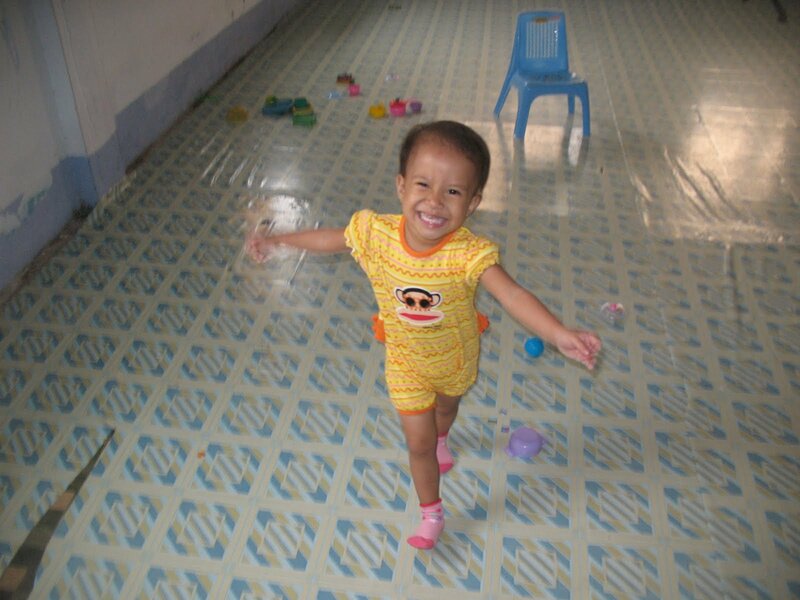 Little Claire Yen running to greet her daddy on a visit he made last August. Please help make this a permanent reality for all 16 of these precious little ones. The sermon at church yesterday was focused on some of the principles that Dr. Martin Luther King, Jr. stood for. During that 20 or 30 minutes, I was struck by how parts of it are relevant to the state of international adoptions today–not in terms of race, (even though it is, of course!) but in terms of human rights.